We collect used arm and leg prostheses to provide assistance to amputees. Hand prostheses which will be delivered in July, 2012, are provided by the Ellen Meadow Prosthetic Hand Foundation (www.LN-4.org) This hand prosthesis project is a Rotary project from California to the Rotary Club of David, Panama. To see pictures of some of the recipients of the hands, click here. 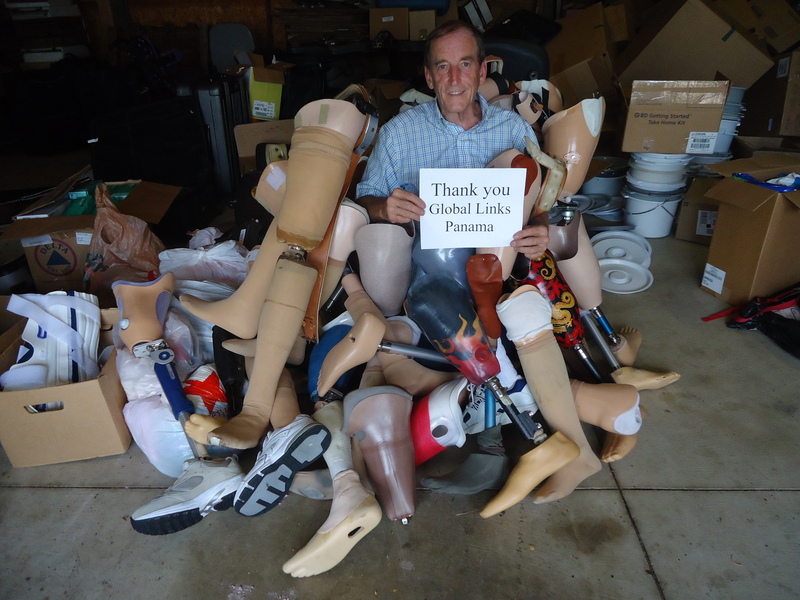 Many leg prosthesis parts have been provided by Limbs for Life of Oklahoma City, Oklahoma (www.limbsforlife.org) and Global Links of Pittsburgh (www.globallinks.org). This program is our newest and most challenging project to date. To see some of the leg recipients, click here. 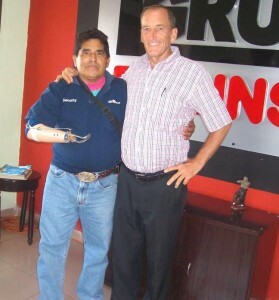 Donated prostheses from Global Links, Pittsburgh, PA.
New arm for taxi driver.